Picking up from where we left off last time….how just a smidgen of orange can change the look of your outfit completely. White is typical day wear, summery, demure and oh so pristine! But it does get monotonic (pun intended) if left to itself. Two extremely gorgeous ladies decided to share their styling with us keeping the orange-white theme in mind. 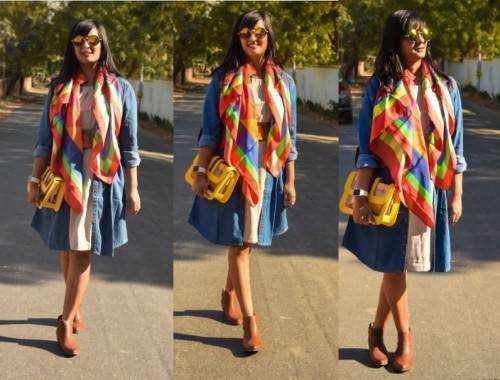 Sonal is dressed for a casual coffee date. 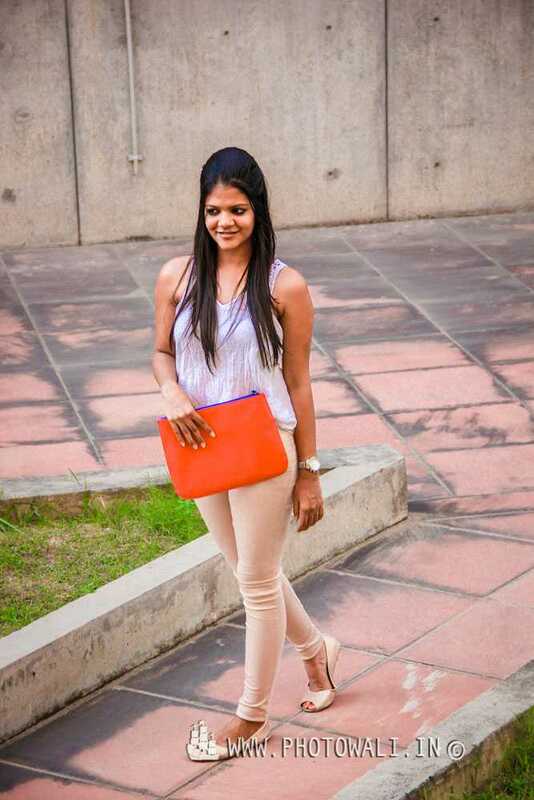 The pumpkin oversized clutch gives her outfit the much needed break from monotone. Devika has sent us her pics from across the proverbial seven seas! She is dressed here for a day full of fun and activity with family. She’s all set to meet some friends for a casual lunch date here. Sometimes, white shirt-blue jeans can get very very boring. Look at how interestingly she has accessorized the outfit. Do write in to compliment the beautiful ladies or simply to say hello.